How to join CBI without answering any entrance exam? How to become a CBI Officer By SSC Exam? Job in Crime branch in India after 12th passed? Being a Graduate Student how to join CBI? What are the various entrance exam to get job in CBI after degree? Is it possible to join CBI of Karnataka after qualifying in B.E Civil at the age of 26? Details about the application form and method of preparation? Legal home based job after intermediate? Re: How to join CBI without answering any entrance exam? No sorry you can not get into CBI department with out entrance test. To join CBI you need to attend the exam CGPE exam.your age should be in between 20 to 27 years old.Age relaxation is provide for SC/ST/OBC category as per govt rule. The maximum attempts for SC/ST candidate is Unlimited. For OBC candidate it is 7 years and for general candidate it will be 5 years.Also you must be in citizen in India. The paper is of 400marks.There are two modules totally.General awareness and english. If you pass the written test then you are eligible for interview. Without any exam there is no such type of jobs available in CBI field.You can enter into CBI field through UPSC exam.After qualifying you will be placed in as CBi police. The minimum qualification is any graduated can appear for this post. dear friend there is no selection is made without giving or clearing related entrance exams and interview. for joining CBI you should prepare hard for the written exam. Intelligence Bureau ,inviting application for the post of Asst Central Intelligence . >> There is a entrance exam which is conducted by UPSC to select candidate for the CBI. >>YOU can not get a job in CBI directlly without any entrance exam. You can enter into CBI field through UPSC exam.After qualifying you will be placed in as CBi police. The minimum qualification is any graduated can appear for this post.here i am sorry to say without entrance exam it is highly impossible to get job in central beareu if investigation.so you must attend entrance test of intelligence service entrance test conducted by union public service . candidate should have done Graduation from a recognized University or equivalent. It is Desirable that candidate should have a Knowledge of computer. how to join in cbi r cid mwth llb profession? Only graduate students in any streams from a recognized college can apply for the CBI exam. You should be above 20 years and not more then 27 years .Relaxation is given to reserved caste students in upper age limit . 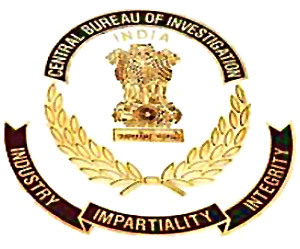 CBI, is the main investigation Agency in India and to become ASI in CBI is the most achievement to any person. Qualification :: You must be graduate in any stream from a recognized university. Age limit :: you have completed your 20 on 1 July of the year of examination & should not have 27 as on date. Notification :: Notification generally released in the month of April, in Employment Newspaper. General Awareness/Intelligence which has 100 Questions of 100 Marks in the duration of 2 hours. Arithmetic which has 100 Questions of 100 marks in duration of 2 hours. ** Generally conduct on May/june. Only the prelim exam qualified candidate can take part in MAIN exam . General Studies which has Questions of 100 marks in the duration of 3 hours. English which has Questions of 100 marks in the duration of 2 hr 20 min. Language which has Questions of 100 marks in the duration of 2 hr 20 min. Communication Skills & Writing which has Questions of 200 marks in the duration of 2hr 20 min. Arithmetic which has Questions of 200 marks in the duration of 4 hour. Personal Interview :: At last, you have to face PI, if you have clear all the Prelim & Main exam. Well there is no shortcut to join CBI without pass in entrance exam . Dear friend, to join CBI you will have to compulsarilly give the entrance exams and there is no other way or medium through which you can directly get job in CBI or any other government institutes.If some one says you can get directly in any government institutes be aware they might be trying to fool you or doing bribery .So please try to give entrance exam and keep away from the short cuts in your life.Good luck! sorry to say you that with out entrance examination you cannot join CBI. if you are interested in CBI ,than you will have to appear in the entrance examination(CGPE) conducted by staff selection commission (SSC) every year. the candidates who have completed graduation in any decipline can only apply for CGPE exam. the candidates who are applying for the exam should be between 20-27 years in age. their will be relaxation in age for candidates belonging to reserved category as per government rule. the candidates who are in final are not eligible to apply.